My name is Sara Wyen. I created Blood Clot Recovery Network (BCRN) in the Spring of 2013 after suffering from a life-threatening blood clot in my leg (Deep Vein Thrombosis) that broke free and traveled to my lung (Pulmonary Embolism), where it lodged and permanently damaged some of the existing lung tissue. Not only did I feel isolated, confused, hopeless and angry after my clotting incident, I felt like I had nowhere to turn for support, encouragement, guidance or answers. No one I knew had experienced this before and most of them didn’t even know what a blood clot was. I am grateful to say I had a team of doctors who I believe cared greatly about my health, but that was jut it – they were concerned with keeping me alive, not my emotions or thoughts on what had happened. They operated in survival mode – my survival. As time went on and I got the basics answered, that only lead to more questions and more feelings of angst over why this had happened to me. I began scouring the internet for information and while some resources do exist, they are not easy to find and are often medical in nature. Most shockingly, I discovered that blood clots, including those of the leg (Deep Vein Thrombosis or DVT) and those of the lung (Pulmonary Embolism or PE), affect upwards of 600,000 Americans each year and cause more deaths than the more well-publicized occurrences of breast cancer, AIDS, and motor vehicle accidents, yet they are virtually unheard of. Perhaps more disturbingly, I found that blood clots do not discriminate. You’re at risk for a DVT (and potentially a PE) if you are sitting for long periods of time, such as when driving or flying; have an inherited a blood-clotting disorder; are on prolonged bed rest, such as during a long hospital stay or paralysis; have had an injury or surgery; are pregnant; have cancer; have inflammatory bowel disease; have heart disease; take birth control or hormone replacement therapy; have a pacemaker or catheter; have had a DVT or PE previously; have a family history of DVT or PE; are overweight or obese; are a smoker; are over 6o years old; are tall; or are a female (http://www.apsfa.org). 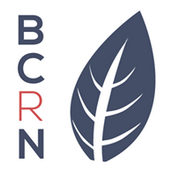 It became imperative that I tell everyone I know – and everyone I do not know– about the signs, symptoms and dangers of blood clots and the idea of BCRN was born. Blood Clot Recovery Network has not started any posts. My INR has been stable for about 2 years (I'm taking warfarin). Recently it dropped for a reason I cannot identify, but I am under a lot of unusual stress. I think stress contributes to INR and wonder if it is effecting me most recently. I just wanted to share my experience.